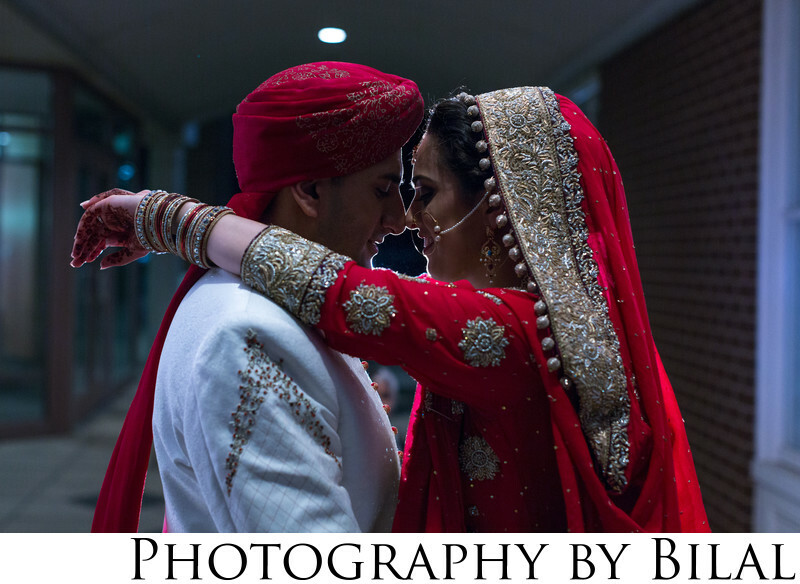 As a top Pakistani wedding photographer in NJ, except nothing but outstanding images from your wedding. The image seen here was shot at Humaira's and Asim's Pakistani wedding at the Westin Princeton. A little bit of back lighting can make a very dramatic photo.